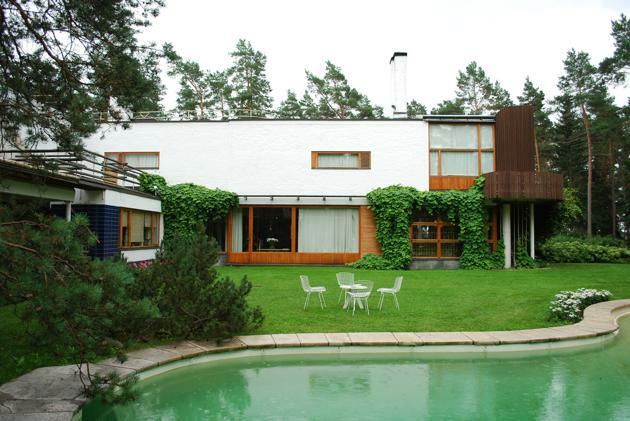 Alvar Aalto designed many private houses in Finland and abroad, but the Villa Mairea is probably his masterpiece. 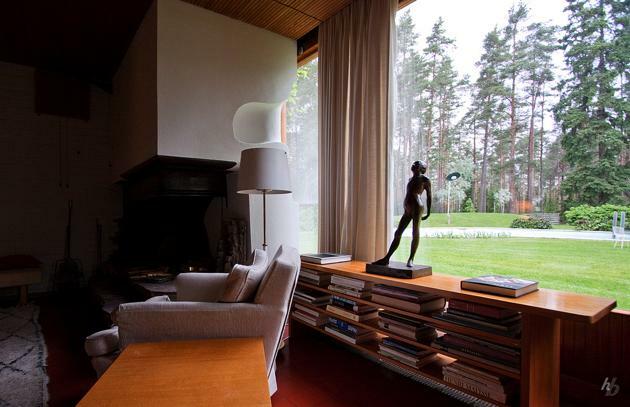 Aalto designed this villa for Harry and Maire Gullichsen, two close friends and coworkers. 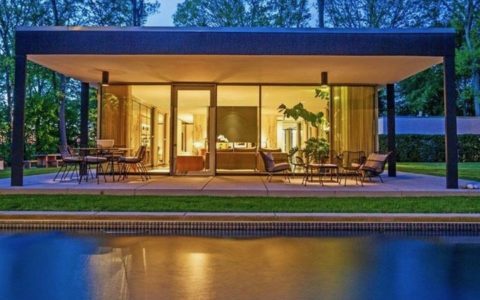 The Villa Mairea was built betweeen 1938 and 1939 and represents an exquisite mix of art and Modernist architecture with Finnish and Japanese influences. Aalto said: “(…)avoid artificial architectural rhythm in the building without giving up pure form as long as it could be obtained in harmony with the structure or with an increased use of materials and surface ornaments that are inherently pleasing to the senses“. 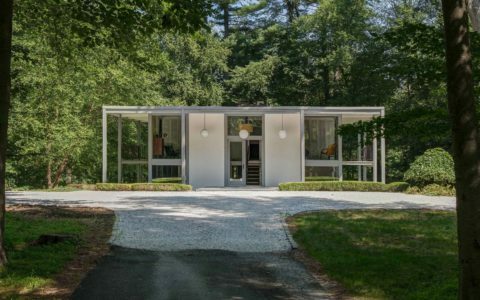 The heart of the house is the big room on the ground floor which unifies the Marie Gullichsen art collection, the living room and the dining room into one living space. 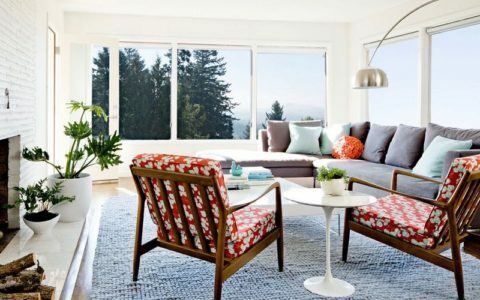 As Aalto said “a single large living room…for the family’s everyday use...”. As in many of his works and also in Villa Mairea, the garden has a central role and is part of the house instead of a separate element. 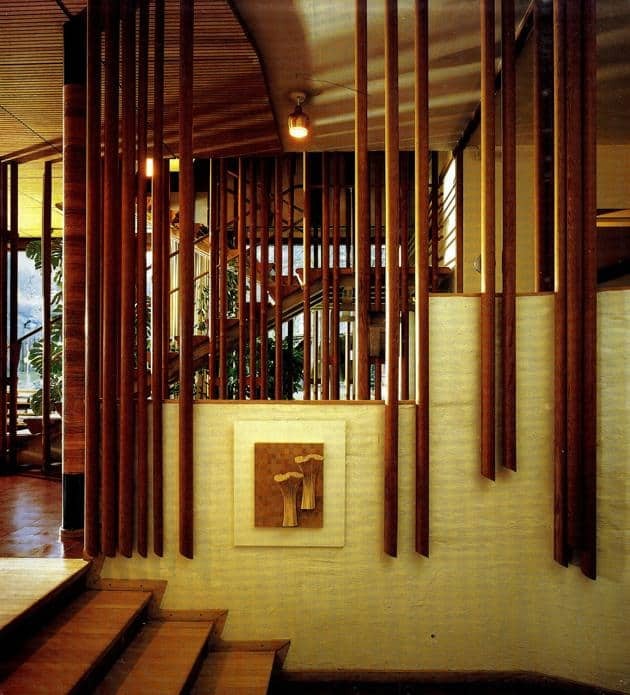 Using groups of wooden poles around the staircase, Aalto found a visual solution to connect the inside with the outside creating a sense of movement and rhythm. 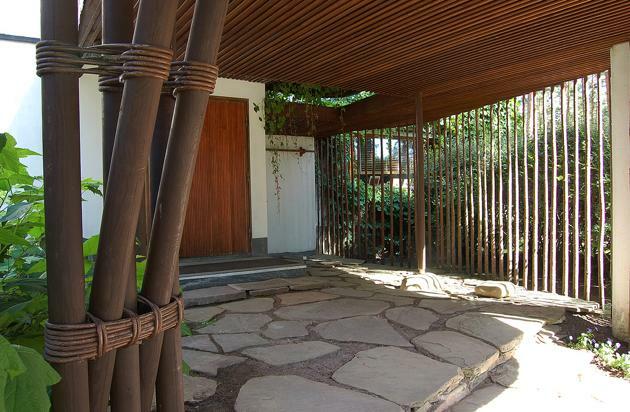 Some poles support the canopy while a separate group of these wooden poles adds beauty to the entrance and more act as screen for the staircase at the first floor. 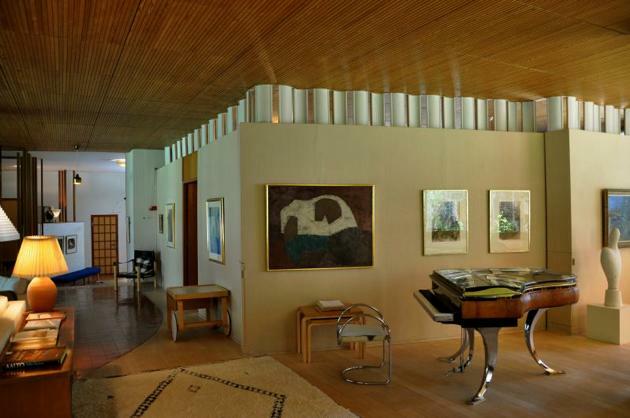 Natural materials such as wood are widely used in Aalto’s houses and Villa Mairea was no exception. The entrance is connected to a multifunctional room and the library by a beech ceiling giving a feeling of coziness. 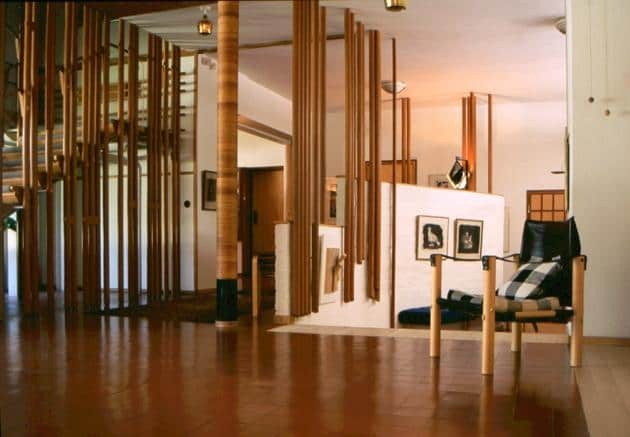 Aalto combined the house’s separate formal rooms including the art gallery, living room, dining room and the hall into one single large room on the ground floor with various functions and uses. This continuity of spaces with areas separated only by their different characters gave the Villa Mairea’s main floor its flow, ambiguity and surprisingly; also its coziness. At the second floor there are the private bedrooms while the guest rooms are in a separate wing. The Villa Mairea is full of rich details like the sculptural hearth or the bottom tread of the staircase. 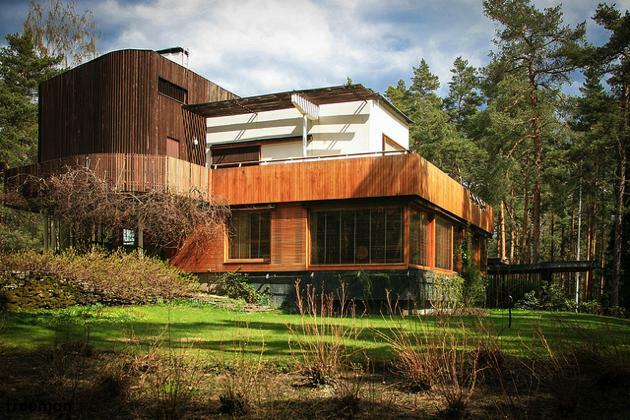 This house is represents a synthesis of Aalto’s architectural and design beliefs, mixing many different elements which were also a part of his future buildings. 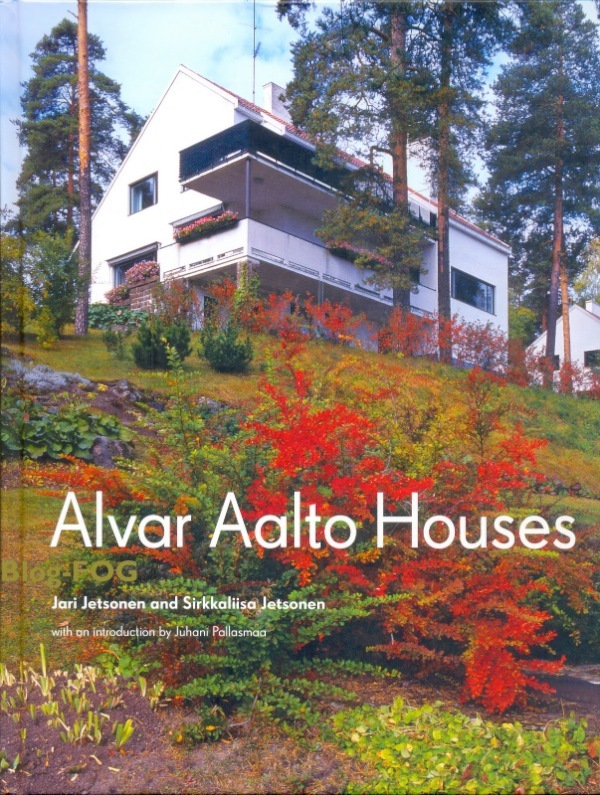 Photos via Alvar Aalto Houses.